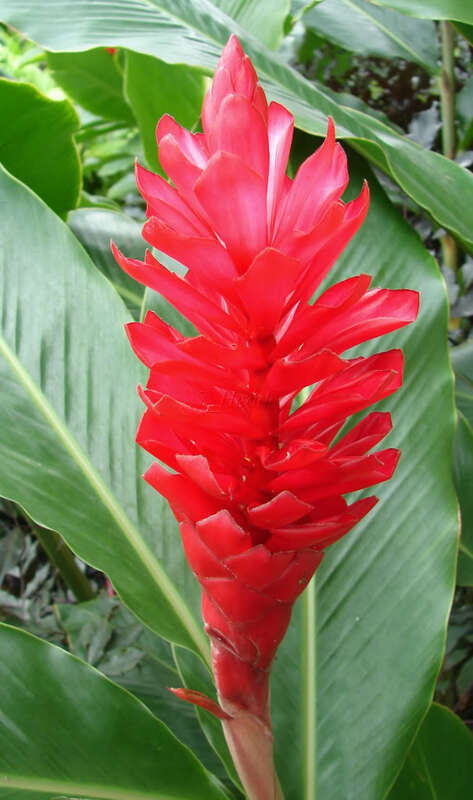 'Red Ginger' has a beautiful "flaming torch" flower of huge deep red bracts. 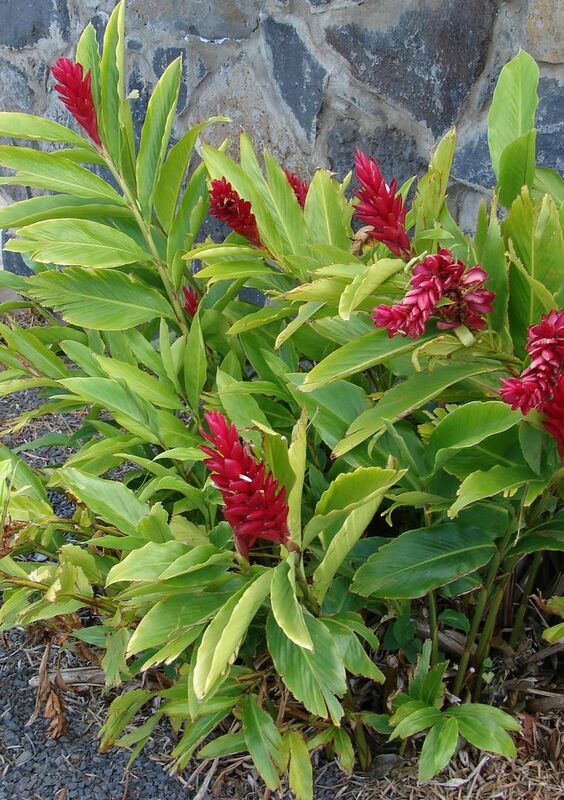 This is a easy grow ginger with red spikes of flowers; small white flowers emerge from the bracts of the spike. 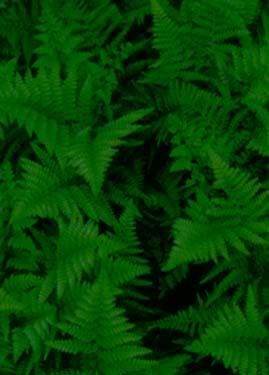 Large shiny green oblong leaves and very small seeds. Often used as tropical cut flowers. 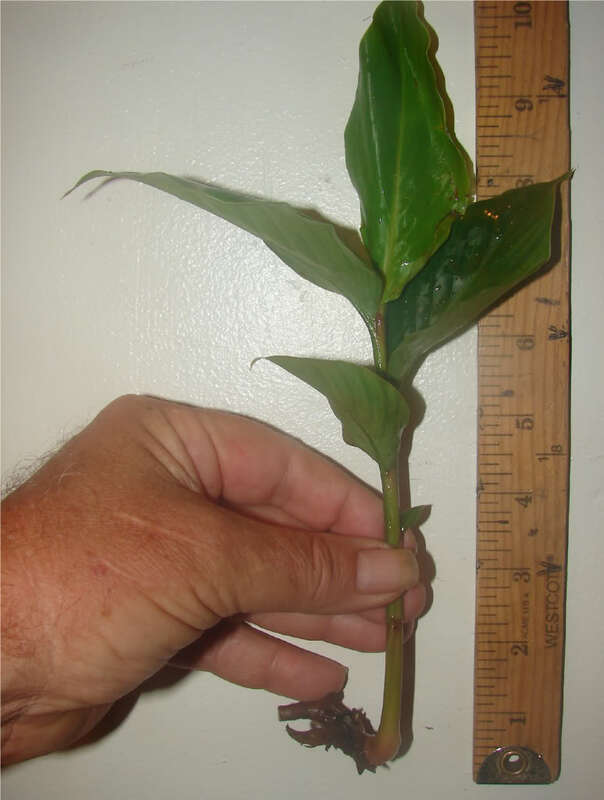 You are bidding on Twenty- Five (25) small bare root plantlets grown in Hawaii. 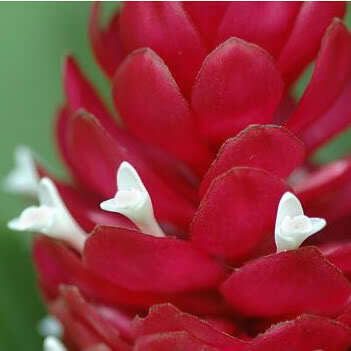 This ginger variety produces inflorescences consisting of 6 to 30 bracts, dark red bracts with spectaclar flower. 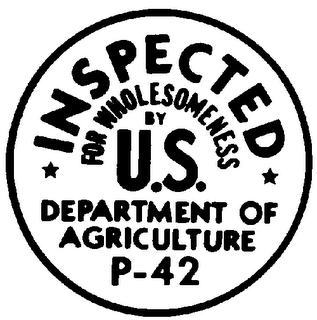 In bloom throughout the year under tropical conditions. Grows 4' to about 10' high in full sun to partial shade.